Gifted Hands is actually a sequel novel but I haven't read the first and knew nothing about it, yet I still found that I really "got" the story from the first few chapters and this could easily be a standalone novel. 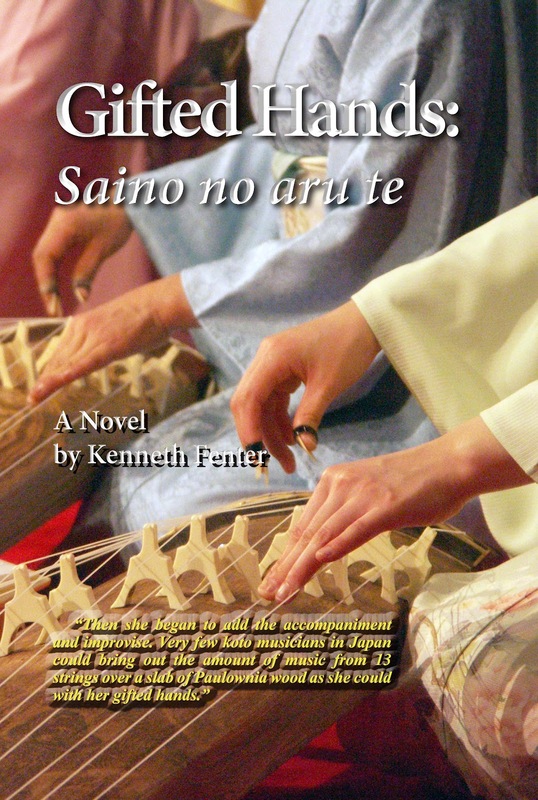 The book is about ex-war vet and skilled artist Charlie who has recently returned to the states, bringing with him a young Japanese student and talented musician; Keiko, whom he loves, and who has a scholarship to study at the same university as him. Their relationship; already bumpy due to the vast differences in both culture and language is made more tumultuous by Keiko's obligation to her family, which eventually tears them apart. While travelling the vast country, Charlie learns more about the rich culture and traditions of the country which he had only previously known in a time of war. Though finding Keiko is not his reason for the trip, fate has it's ways of bringing them together again. This really sounds like simple kind of love story but it's more than that. Gifted Hands does have that heartfelt romance and sadness you'd associate with that kind of novel but it is also wrought with mystery and suspense, something totally expected that really drives the story forward and makes you want to read on. I really enjoyed this book and it was the prefect "take a break" kind of book that I was looking to read after being so stressed recently with so much to do. I actually learned so much about Japan and the culture of the country which was great as I've never read anything set in the orient before now and Fenter writes with so much respect and conviction for the traditions and cultures of the country that it never felt like the writing was too overdone or overly researched. If you like a mix of love and mystery then this one is for you. Dear Sophie, Thank you so much for the wonderful review. Yours is the first review I've received from the UK. I'm so glad you requested a copy. I'll look forward to following your blog in the future.